Judi Hammer won top salesperson in Group AA of the entire Riddle’s Jewelry company for the 2018 year. Hammer is an assistant manager at Riddle’s Jewelry located at Crossroads Mall. September will mark Hammer’s 10th year with Riddle’s. 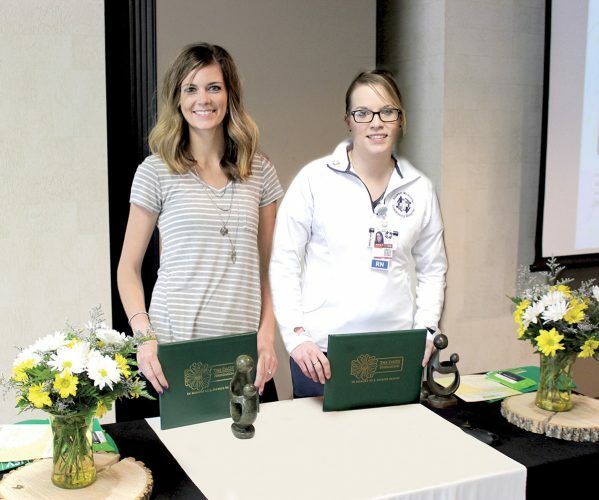 Tara Erickson, CNA at Grandview Care Center in Dayton, was named Trillium Health Care Employee of the Year recently. Trillium employs over 2,500 people nationwide in 36 facilities. 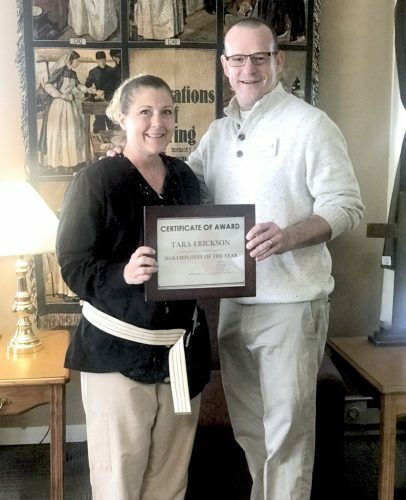 She is pictured with Steve Mulford, Grandview administrator, who presented her with the award.